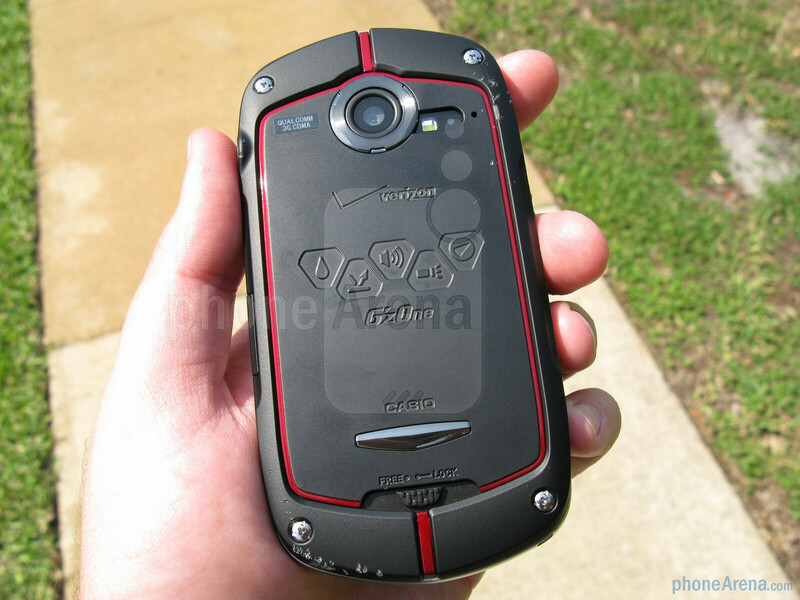 Over the years, Casio has been known for producing rugged Push-to-Talk phones for Verizon Wireless, from the Type-V and Type-S to the Boulder, Rock, Brigade, and Ravine. 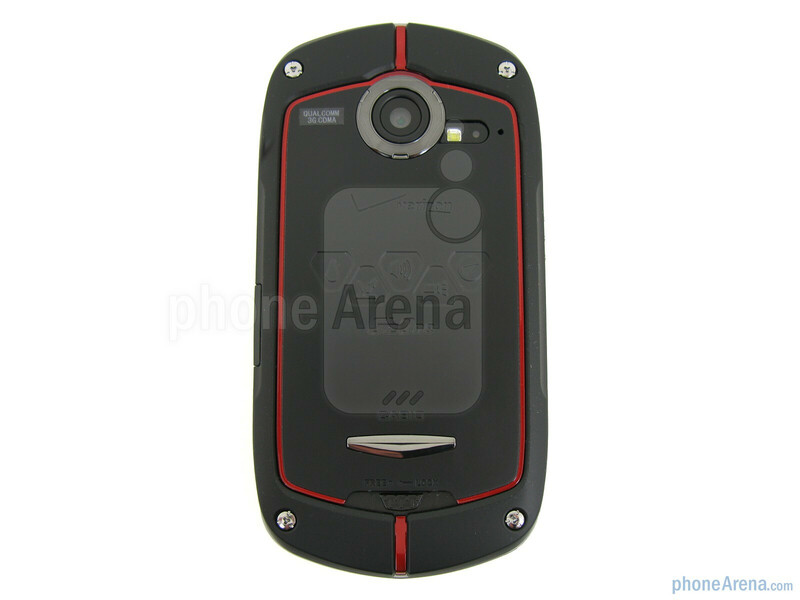 But this time around Casio brings to the table something different, the G’zOne Commando – a rugged Android smartphone. 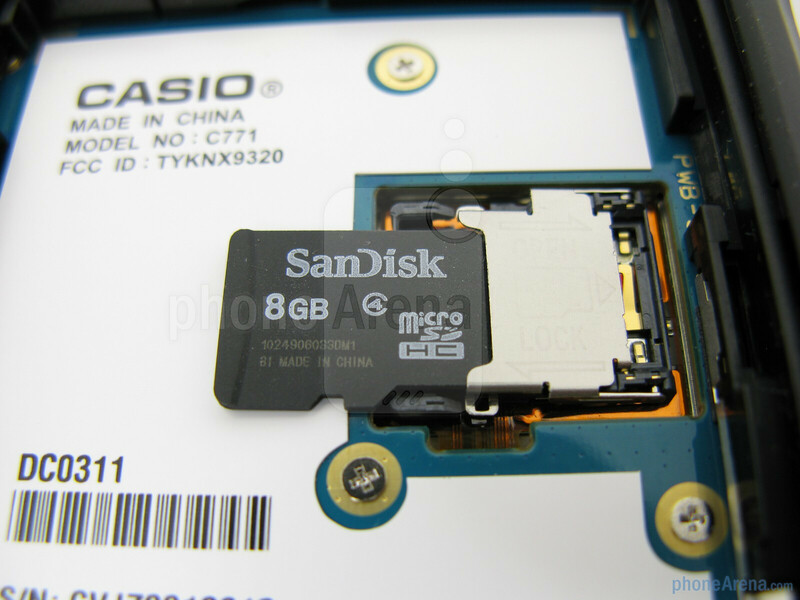 We understand why Casio has done this, as more people are moving to smartphones, while some still want a device that can withstand a certain amount of abuse, whether it is from a construction site foreman to a guy coaching his kid’s football practice. 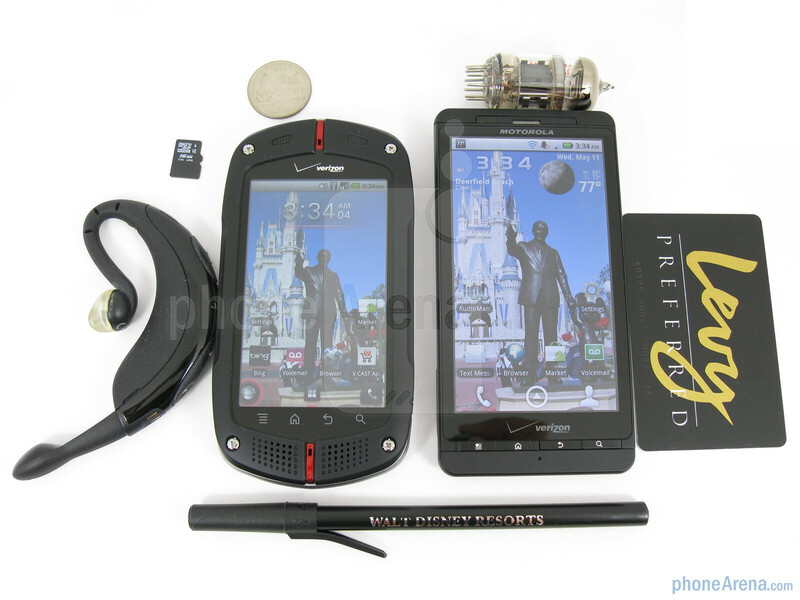 Included in the retail package is the Casio G’zOne Commando C771 smartphone, 8GB microSDHC memory card pre-installed, 1460mAh battery, and wall charger with detachable microUSB cable. 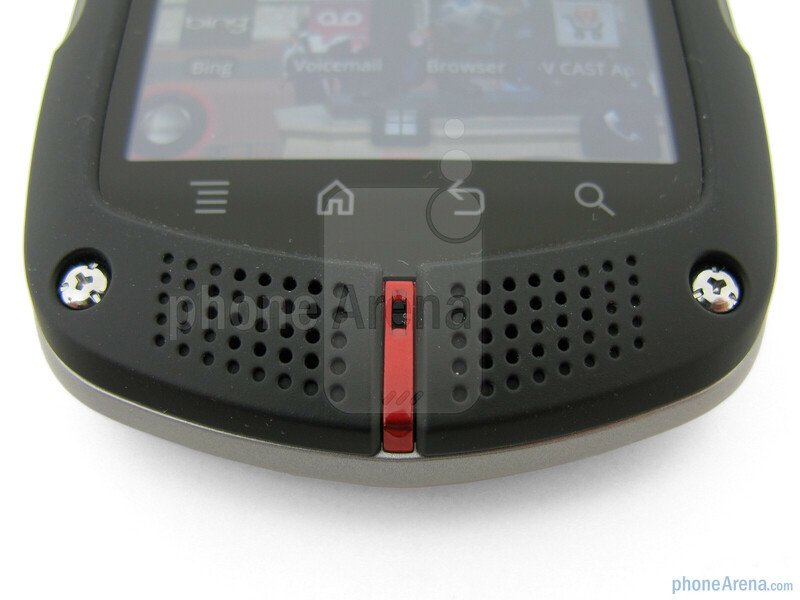 Even though the Casio G’zOne Commando is a candy-bar style smartphone, it has some design aspects carried over from the Casio Ravine, such as the all-black construction with orange accents. On the front is a 3.6” WVGA TFT display, which is a pretty nice size, of course not as big as the 4.3” ones in use with some of today's smartphones. Text and images look sharp, and color is pretty accurate, but unfortunately it is hard to view while in direct sunlight. 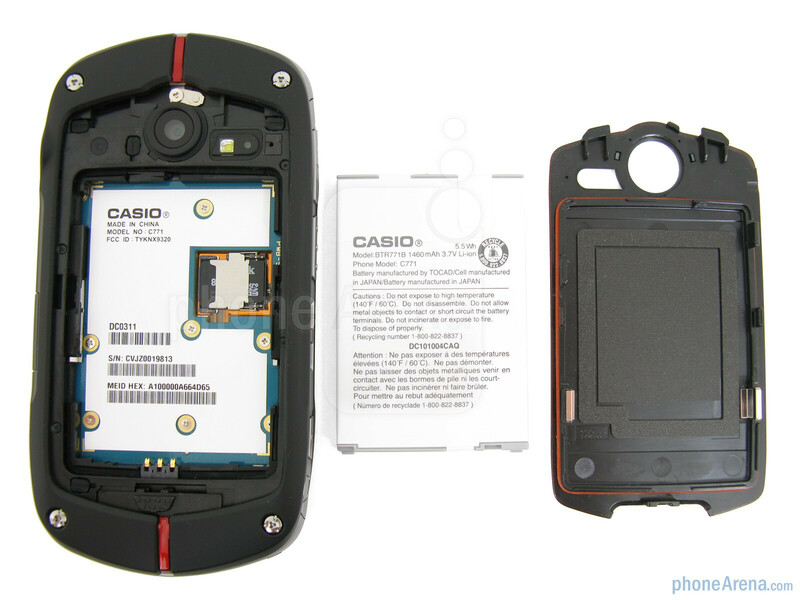 You can compare the Casio G’zOne Commando with many other phones using our Size Visualization Tool. 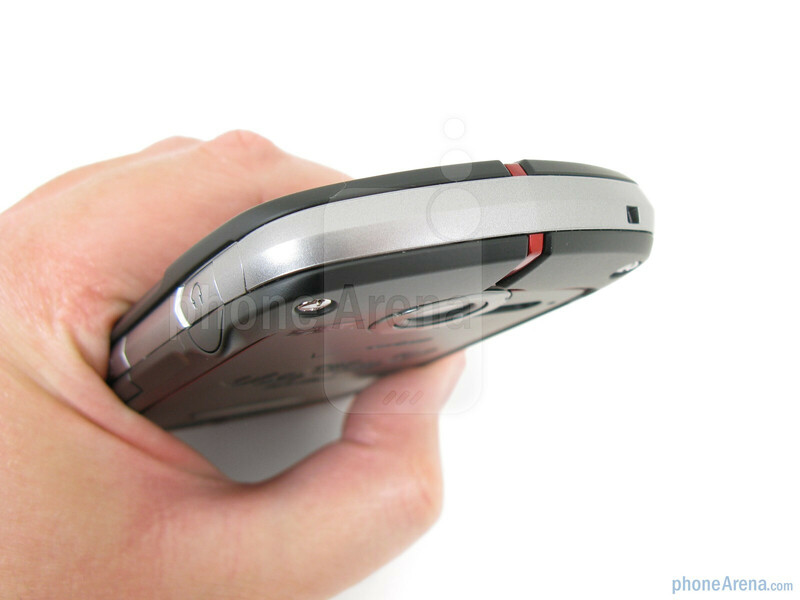 Below it are four touch-sensitive buttons for accessing the menu, home, back, and search, as well as stereo speakers that have the microphone in the middle, which seems like an odd placement. 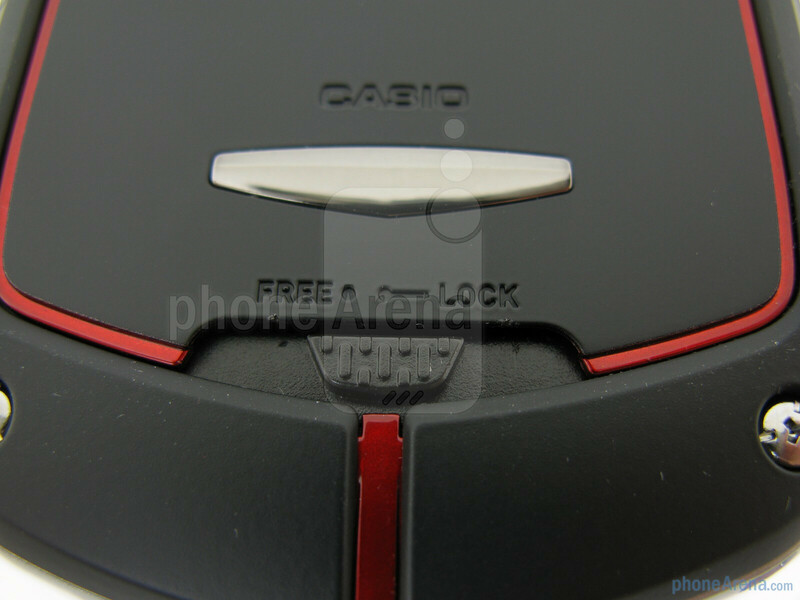 Located on the sides are the power/lock key, multi-function button, volume rocker, and camera key. 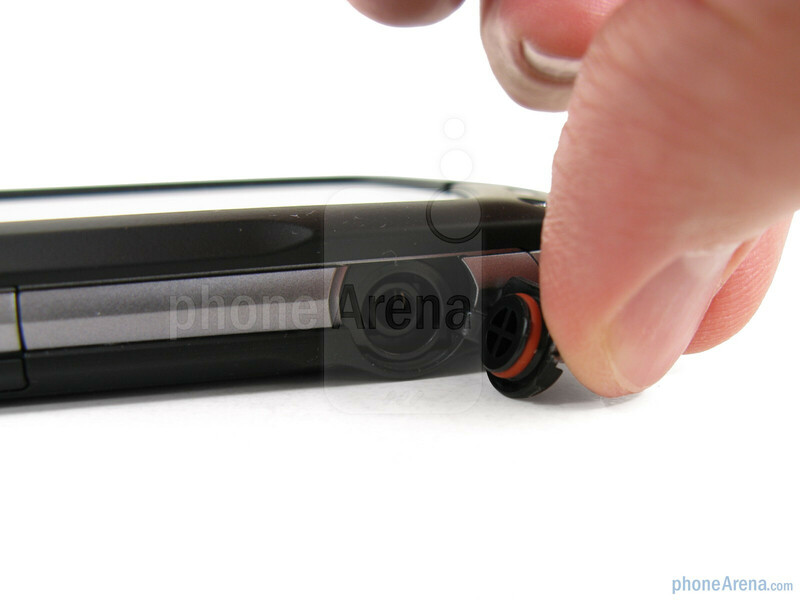 The microUSB port and 3.5mm headphone jack are kept sealed with protective covers on the right side. 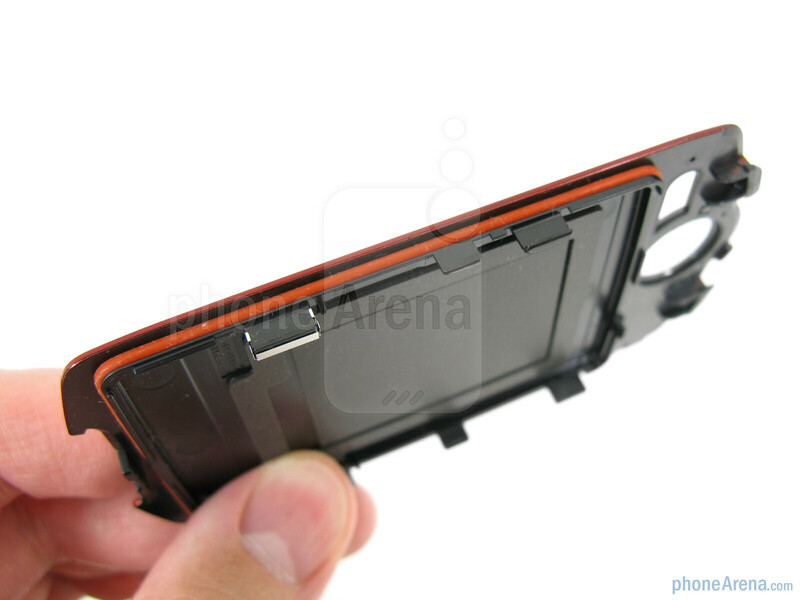 On the back is the 5MP camera and battery cover, which has to be unlocked to remove, as it has a rubber o-ring to keep water out. 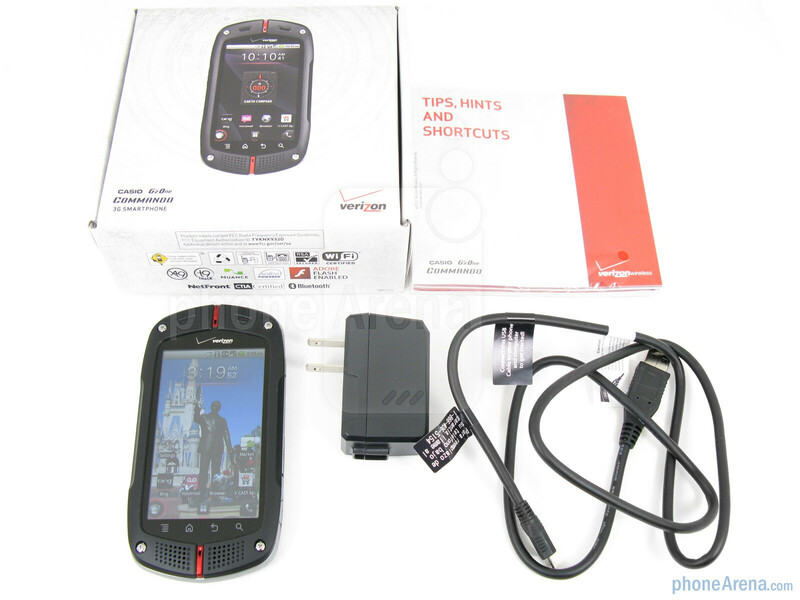 Overall, the Casio G’zOne Commando feels well made, which comes as no surprise, as the device meets MIL–STD–810G certification for being resistant to water (1 meter at 30 minutes), shock (4 foot drop), dust, temperature extremes, solar radiation, humidity (95% for 24 hours), salt fog, and vibration. 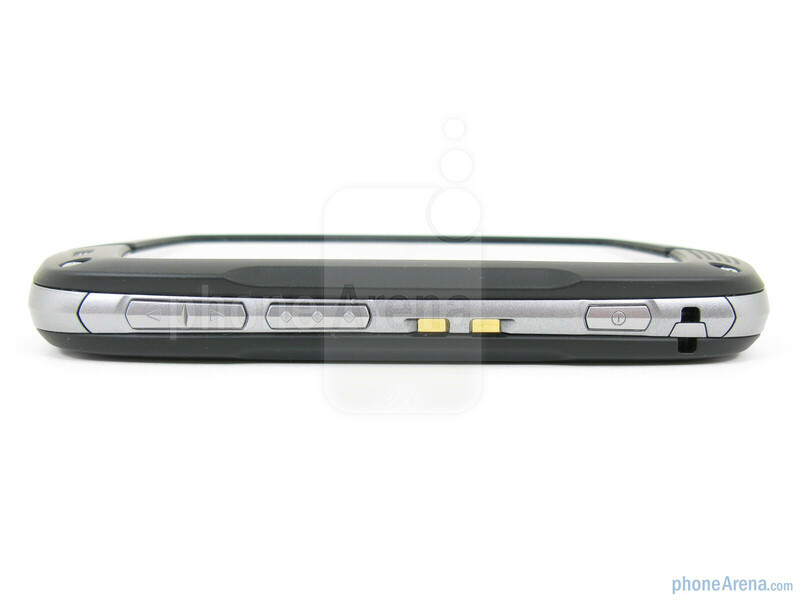 The screen is also protected by 1mm thick tough glass that is resilient to breakage. 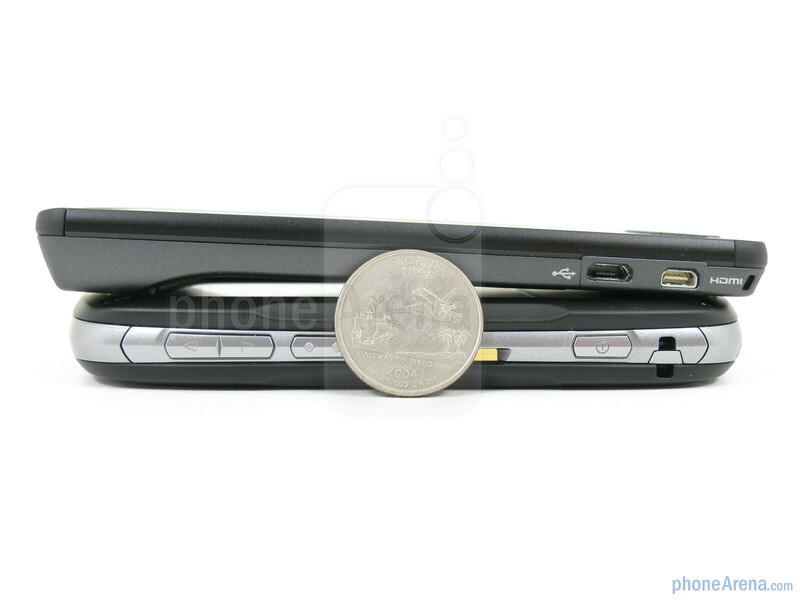 Even with all of this, the phone still feels comfortable to hold in the hand, and isn’t too heavy at 5.45 oz. We water tested the device by filling a sink full with tap water and submerged it for several minutes. With the screen turned on, we noticed that when water came into contact with it there was some interaction, due to it being capacitive touch-sensitive. It was weird seeing the email app or phone dialer launch by the water. Because of this, we’d recommend having the screen turned off before it comes into contact with water. But the phone did remain water-tight. We removed it from the sink after a few minutes, wiped the water off, and were able to use the Commando without a hitch. 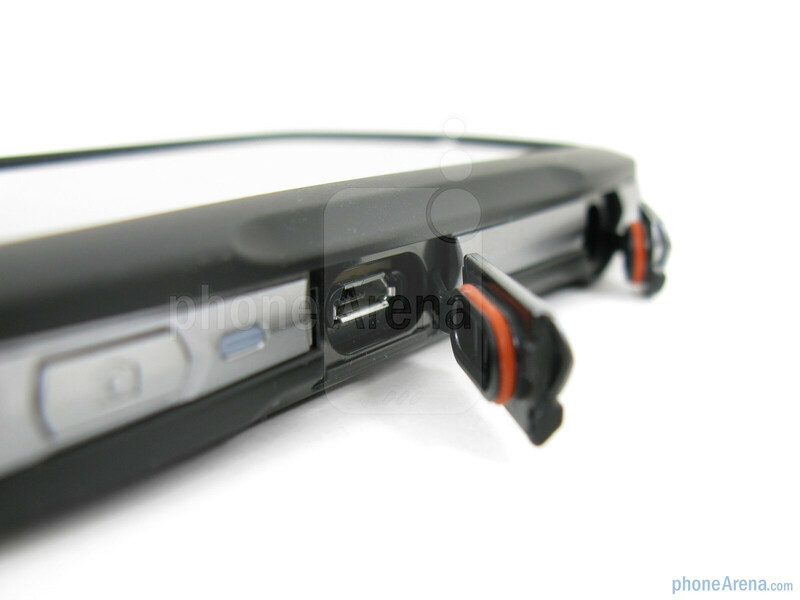 We opened up the two side ports and the locking battery cover, and there was a few small water drops, but it never passed the rubber seal of the orange o-rings. 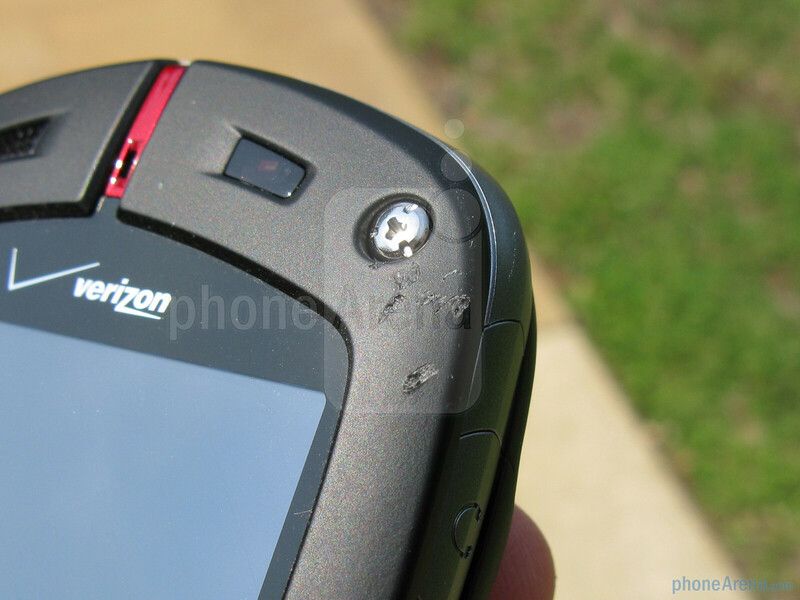 The second test we conducted was by dropping the phone on to a cement sidewalk from the certified 4 foot distance. 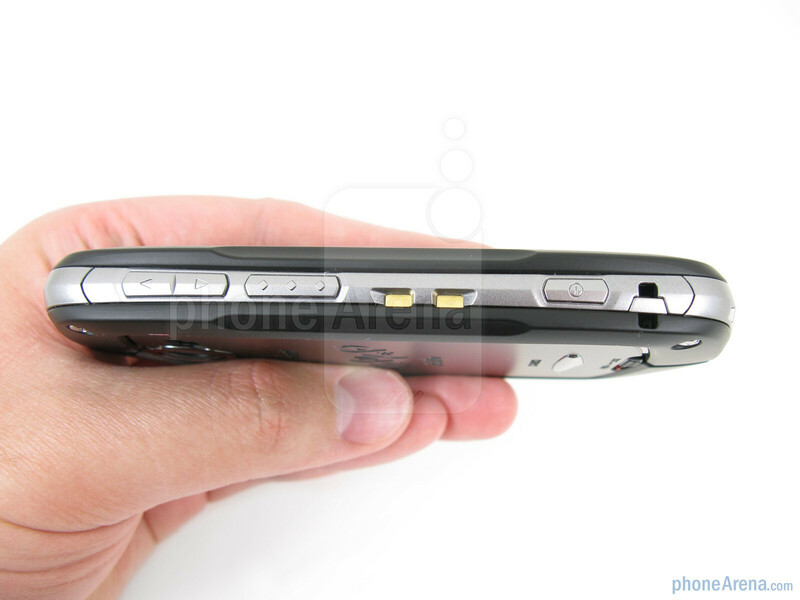 We did this with the phone dropped on its back, and then with the phone dropped on the front. This did make a few scuff marks in the plastic around the sides, but the battery cover did not pop off and the display was undamaged. We then tested the phone some and it worked just fine. It’s nice to see that it can withstand an occasional fall without breaking into pieces and shattering the screen. Thanks! That's a very thorough review. I've been using the G'zone Boulder and have been very happy with it. I'm thinking it might be time to consider a smartphone and this would be one of my choices as I really need a ruggedized phone. You noted that all email appears only in plain text. I'm assuming that embedded pictures don't appear either? A nice product, I just wish they came out with a higher end version of this! 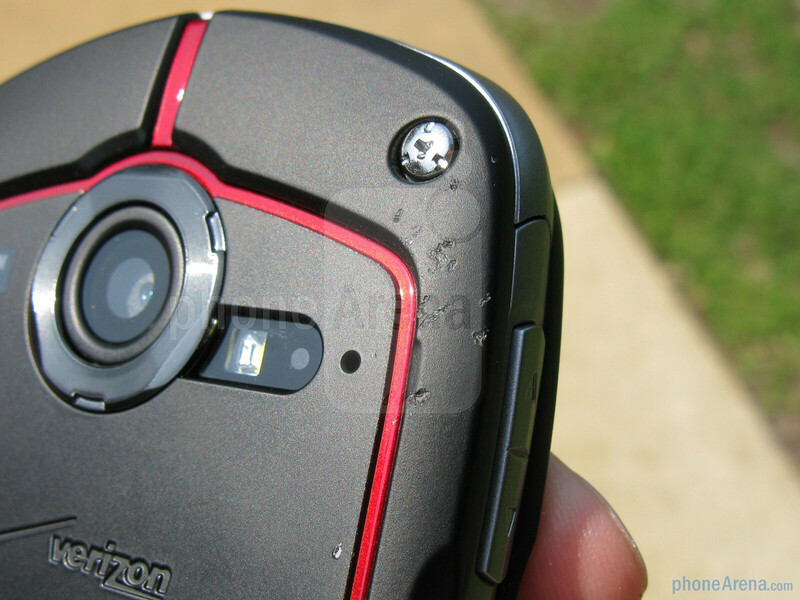 The phone is just OK......... yes it's droid, and its great that it is milspec 810G, but it has some severe issues.1. Its screen is great to view inside a building, but very hard to see outside daylight.2. It needs a REAL QWERTY KEYBOARD. What guy wants to tap on glass to text while on a construction project, or out in the woods? Besides being hard to use, the virtual keyboard takes up half the screen. Also a REAL keyboard would protect the screen (like the brigade did).3. 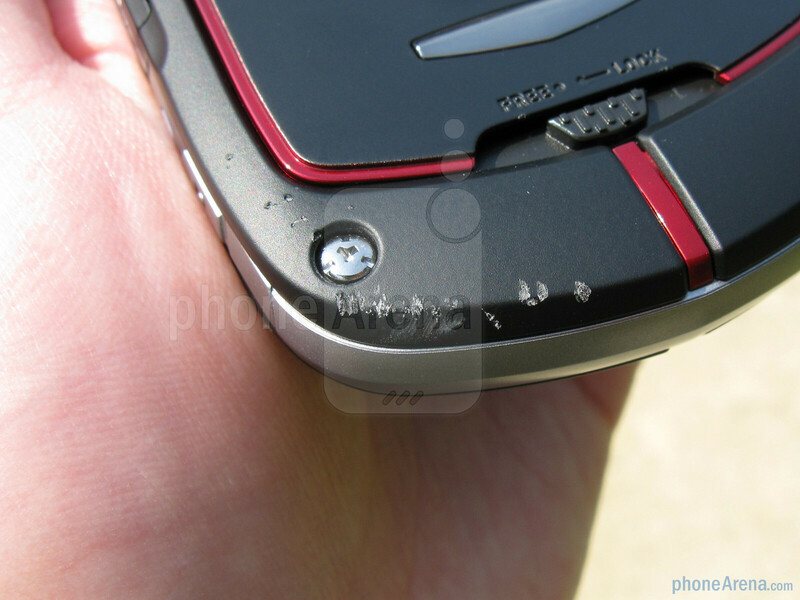 The phone is too smooth and slippery when wet or muddy.4. Why can't we get it in safety yellow, or signal orange, or even the old metallic green of the LG ENVY? This gothic, dismal black and dark red from Verizon is depressing, not yo mention hard to see if you drop it into the pond or at night.5. Typing is so slow on a virtual keyboard, that it will drive you and your boss nuts.Come on Verizon, get a clue and build us what we need for once. My old brigade phone is looking better by the minute. It took my 23 minutes to type that out on the wonderful virtual keyboard. I could have done it in 7 minutes on a REAL keyboard. 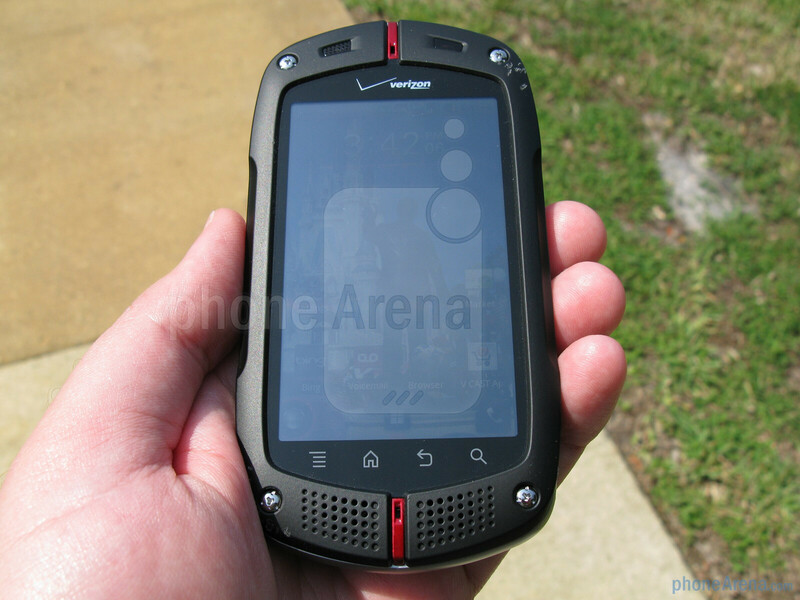 I'm seriously ready to ship this commando back to Verizon. Its built for yuppie boys who are in an office all week. you should learn how to use the trace writing feature. it is the bomb and even you could type faster. 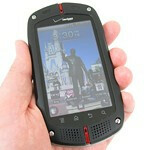 I am not a yuppie, i do not sit in a cubicle, and i love this phone. Mikaelis, The fact that you say it would take you seven minutes to type a small synopsis explains why it would take you 23 with a virtual keyboard. I too prefer a real qwerty over a virtual one but why did you get the phone knowing it did not contain a physical qwerty? 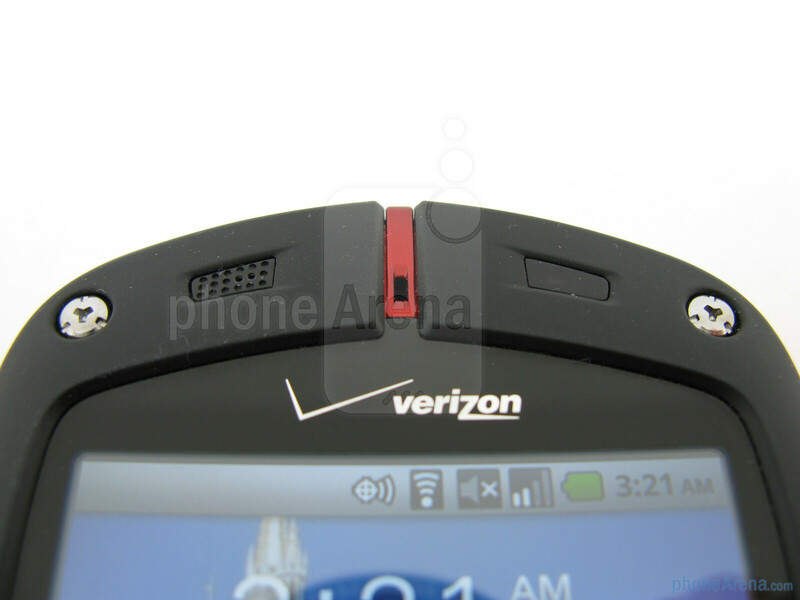 Also, Verizon does not build the phones. In this case Casio is the manufacturer. The carriers do require certain things from phones they will sell but the device itself is by no means a reflection of the network. I will be receiving this device in a couple of days as a replacement for my old work phone, which was a blackberry curve. I do wish the processing was better but it is still going to be leaps and bounds over my old blackberry. 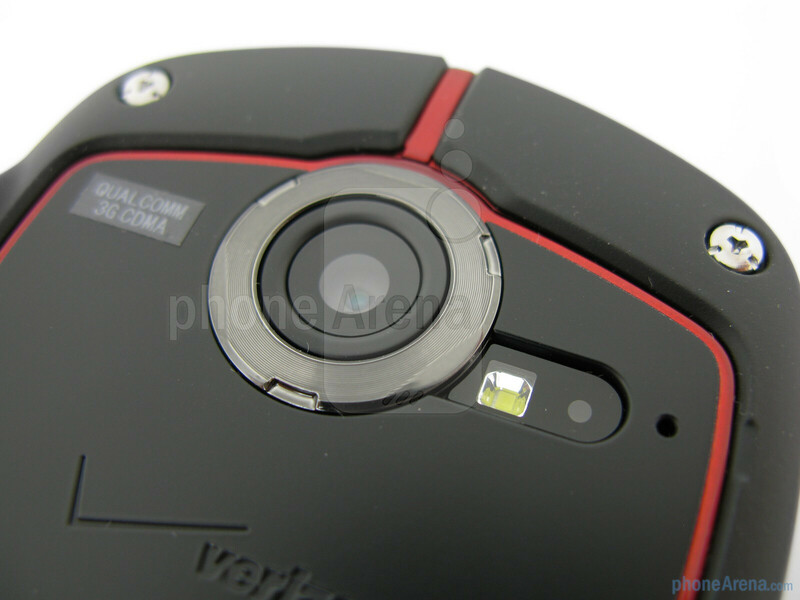 The phone is just OK......... yes it's droid, and its great that it is milspec 810G, but i have some severe issues. Its screen is great to view inside a building, but very hard to see outside daylight. It needs a REAL QWERTY KEYBOARD. What guy wants to tap on glass to text while on military maneuver, Besides being hard to use, the virtual keyboard takes up half the screen. Also a REAL keyboard would protect the screen (like the brigade thos). Why can't we get it in safety yellow striping, or even the old metallic rust or green This gothic, not to mention hard to see if you drop it into the pond or at night. Typing is so slow on a virtual keyboard, that it will drive you and your fellow soldier nuts. Come on casio, get a clue and build us what we need for once. this is why i haven given up My old brigade phone. RF GUY, This was a weird package deal I was offered by Verizon. My old brigade's big flaw was that cargo can't make the calendar events announce reliably. They don't always go off. Even at that,after having this phone 2 months, I still at times long for my brigade' s real keyboard. Not only does the virtual keyboard take up 3/4 of the screen, but wait until you get the screen wet. It stops working until you dry it off. This is going to be interesting this coming winter in the rain. 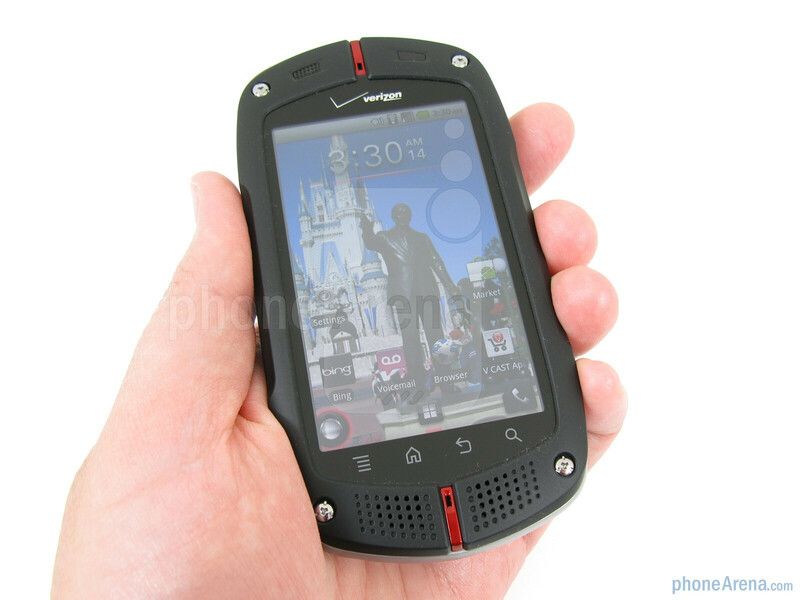 I just can't believe anyone would build an outdoors phone, that can't function when its screen is wet, or your fingers. Try using it in a shower or after swimming. Casio engineers just don't get it. Its obvious they don't actually use their own phones. It isn't rocket science, its just common sense . 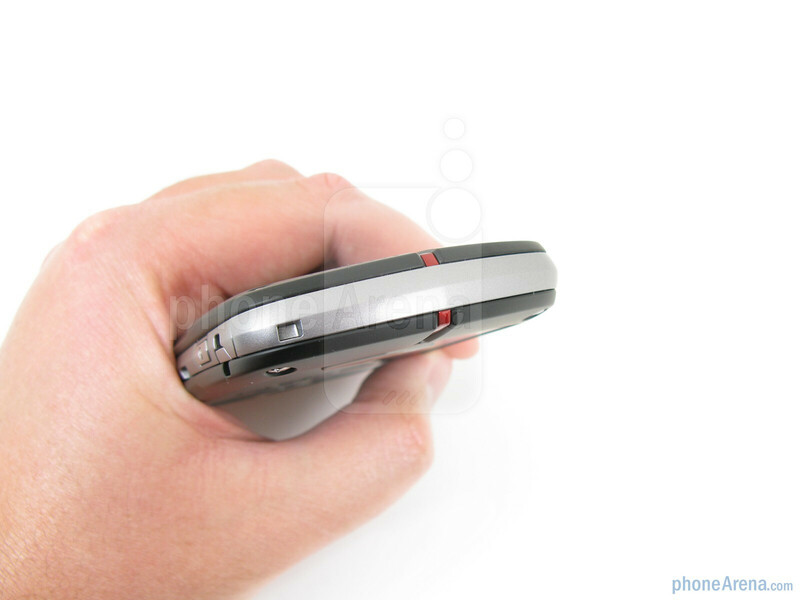 Oh, and to the yuppies who want a wafer thin phone, I want the bulky phone with fold down keyboard, to hang on to, and be usable in ANY environment. Marry this phone with the brigade, and make it in "Envy Green Metallic" and you would have the perfect outdoor phone. I've had the Commando for about 3 wks now. This is my first smart phone and I love it. I'm very active running my kids around to sports, errands and sitting in the bleachers, so I wanted a phone which could handle being dropped or knocked around in my purse/pocket. This phone is great. Small learning curve with the virtual keypad for texting, but no big deal. The more I use the phone the eaiser it is. 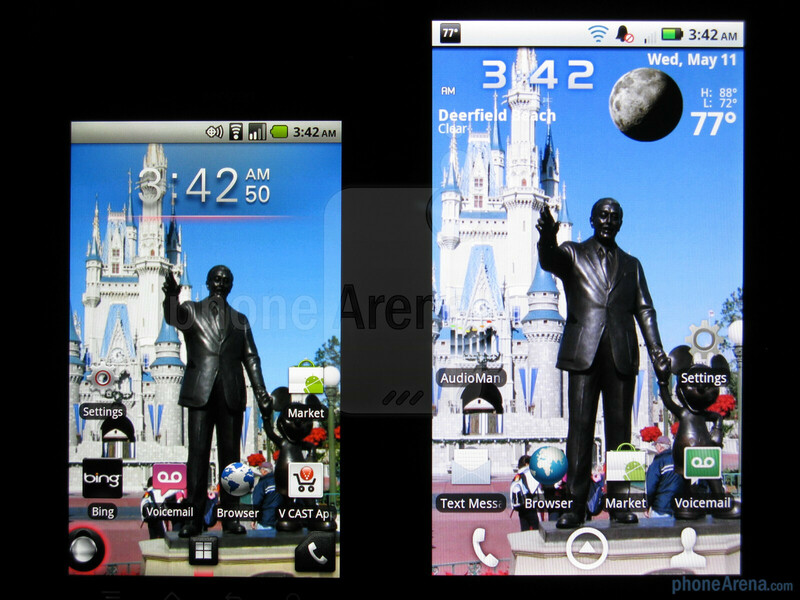 I have no regrets other than i wish the screen was a little bigger like the droid. But still thats no big deal. VERY happy with this phone. How come my keyboard changed to grey instead of white? I've had the phone for 4 months now. 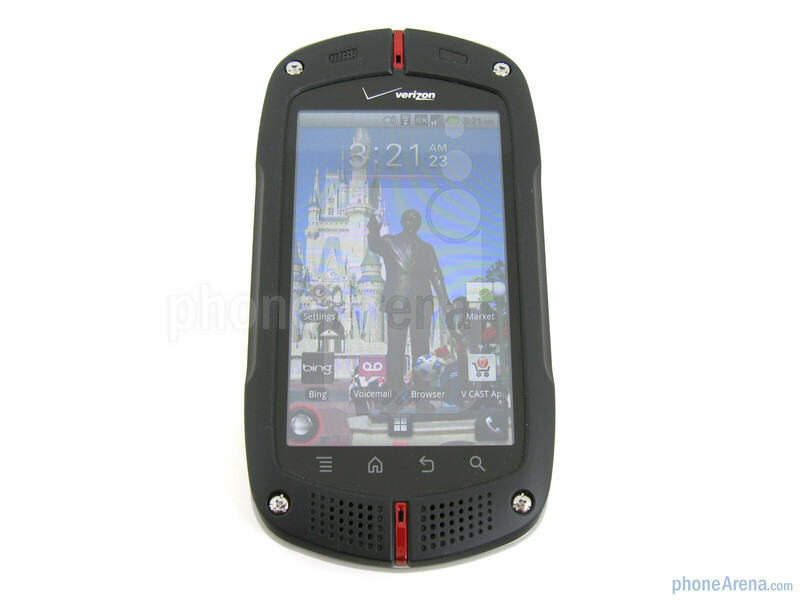 My previous phone was an orange Env. Loved it. it was bulletproof. 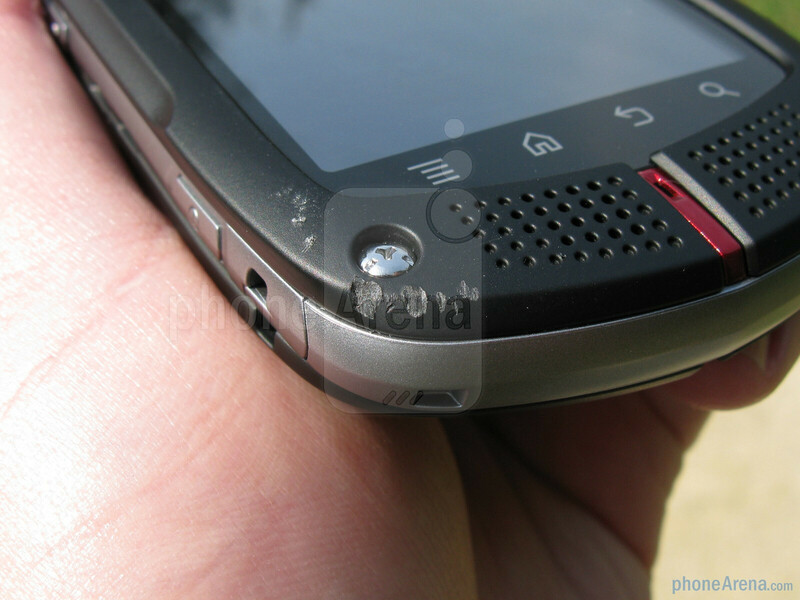 It seems that most new versions of phones are actually downgrades except fot the commando. My friend had a Gzone 1 and upgraded to a commando as well. The commando is a great phone. Rugged. Easy apps. long battery. If you don't like the color by a silicone sleave. The camera is not the best, as it does not have an auto flash, but being a camera junky, if I want to take a picture, i'll use my camera. Casio not living up to their word. My husband had his Commando phone for under 2 months. Carried it in a case that was made for just the Commando phone. 2 weeks ago, he took it out to make a call and the screen was shattered. It wasn't dropped, hit, or damanged by him in any way. He was riding in his truck with the phone in it's case. Called about having it fixed, assuming it was just a defect in the screen. But we were informed that it was just our loss. That was wrong of them. I even asked about buying a replacement screen, but was told that wasnt gonna happen either. The only thing available for him to do, was to try and find one on ebay unless he wanted to pay full retail for it since it was a new 2 yr contract that we got with the purchase of the phone. Anyone else have a problem with the flash on the camera? when I turn the flash mode to on the led comes on and stays on -like a flashlight ( it switches off for a second when I take the picture and then turns on again). Done this with the two commando's I have owned (third warrantly replacement is on its way). I think this might be a systemic problem but it is not getting reported because most people who buy this phone aren't buying it for the camera and don't use it enough to be bothered by it. If you have one.. please try out the flash and see what happens. If it malfunctions, contact your carrier and you might get it replaced for free. At least let them know it is a problem so they can work on a system wide fix. My husband and I have gone threw 6 of these phones. it has not worked well from day one! Now when you put in your pass word you have numbers missing. Tried to talk to Verizon but the are not doing anything about it. they just want to send another phone. I will pay to upgrade to another phone. This phone is not what I thought it would be.